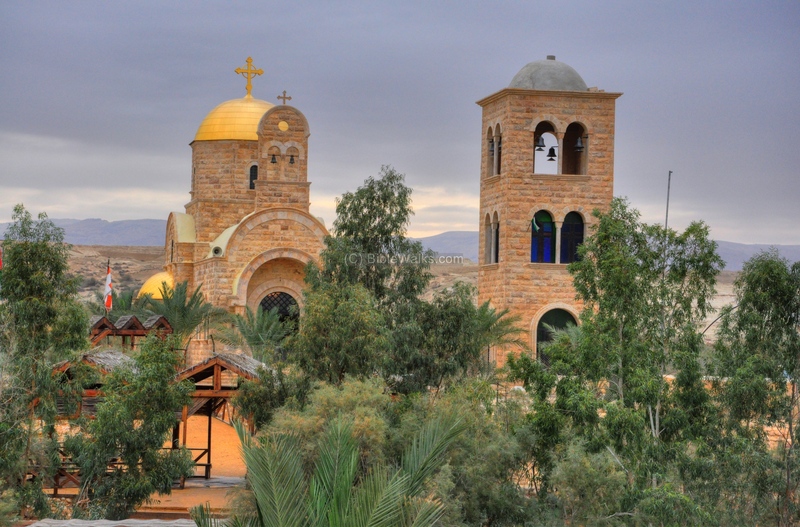 This page summarizes the sites that are reviewed in the area of Jordan Valley - in the eastern side of central Israel. 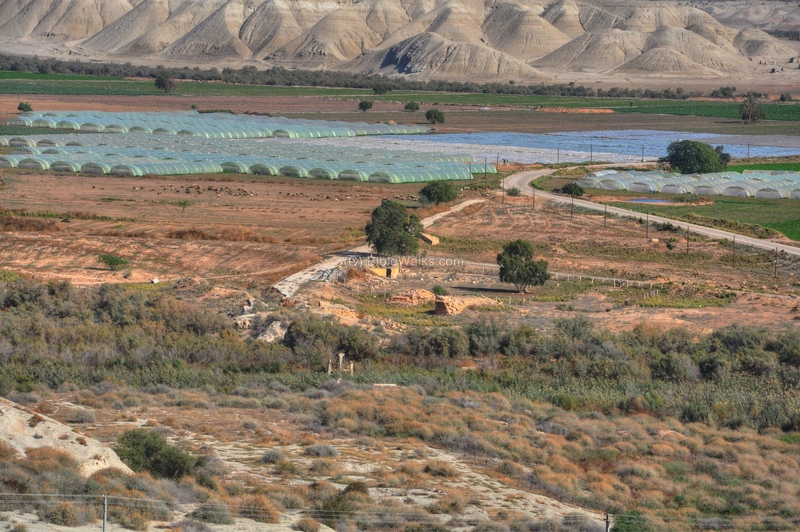 This page is a sites gallery of the Jordan valley- the eastern side of central Israel. An Iron-age ceremonial site which was recently excavated in the Jordan valley near Moshav Argaman. It is likely that this site was erected by the Israelites, leaded by Joshua, and was their first camp after crossing the Jordan. Located on an ancient trade route, this is the oldest bridge in the Jordan valley. The bridge was constructed several times (1266, 1947, 1950s, 1967). 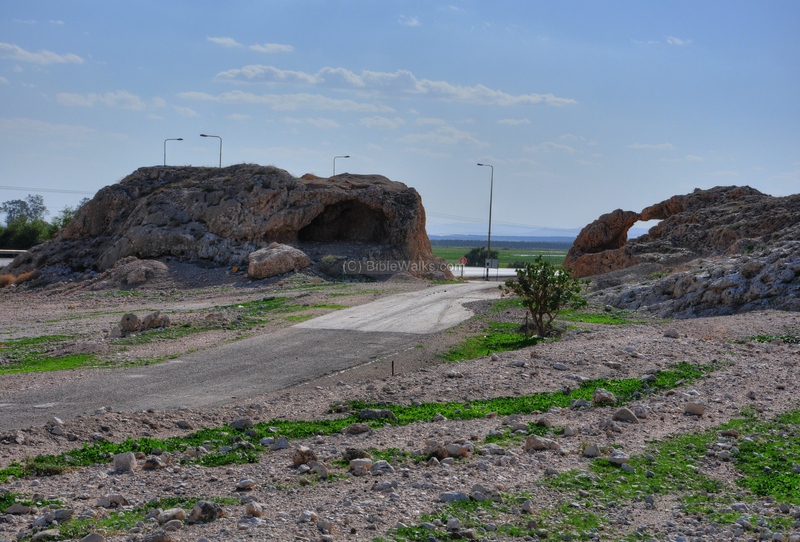 Near the bridge is the Biblical city of Adam. 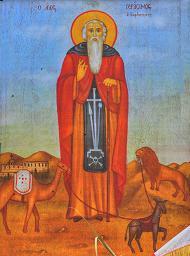 Joshua 3 16: "That the waters which came down from above stood and rose up upon an heap very far from the city Adam, that is beside Zaretan". 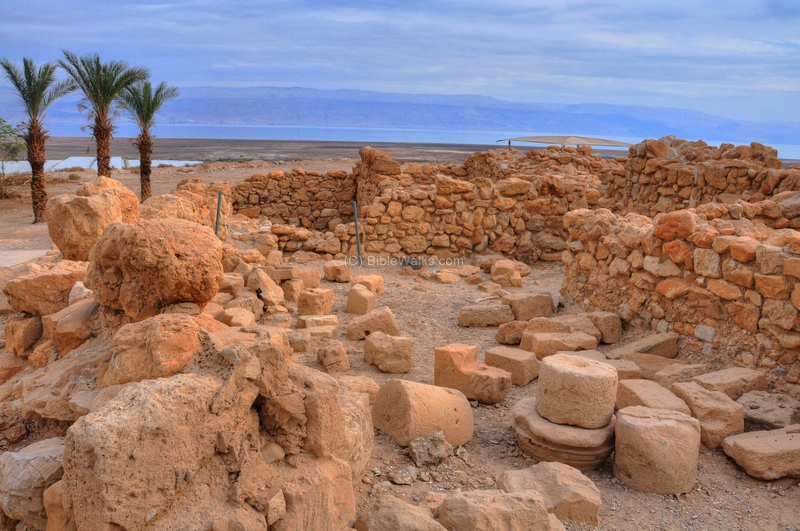 Ruins of a Canaanite city and fortresses dated to the Iron Age II period (Israelite Kingdom), on a broad ridge at the crossing of the Jordan valley and Tirza (Farha) valleys. The southern section of the Jordan river near the Dead sea. A traditional site of the Israelite crossing site to the Holy Land, Elijah's departure, baptize of Jesus by John, and location of many monasteries and chapels. 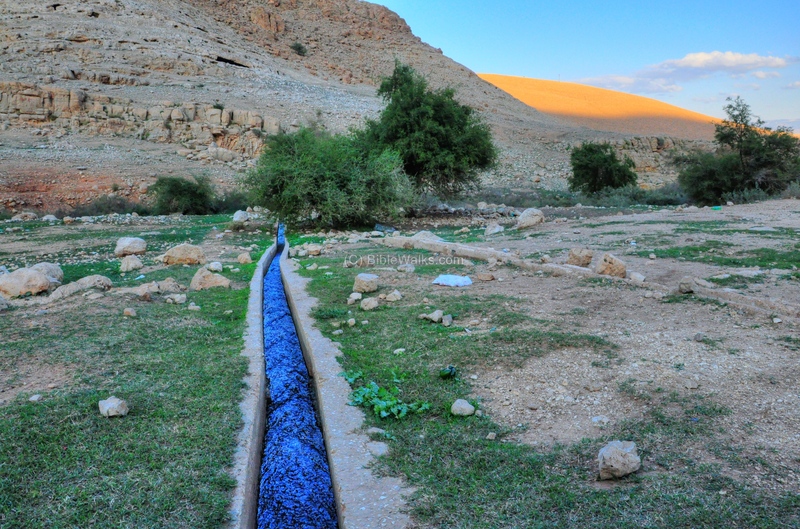 The eastern section of Fazael brook includes a number of springs, a Roman period aqueduct, ruins of an Ottoman flour mill, and a Biblical Tell which is identified as Ataroth. 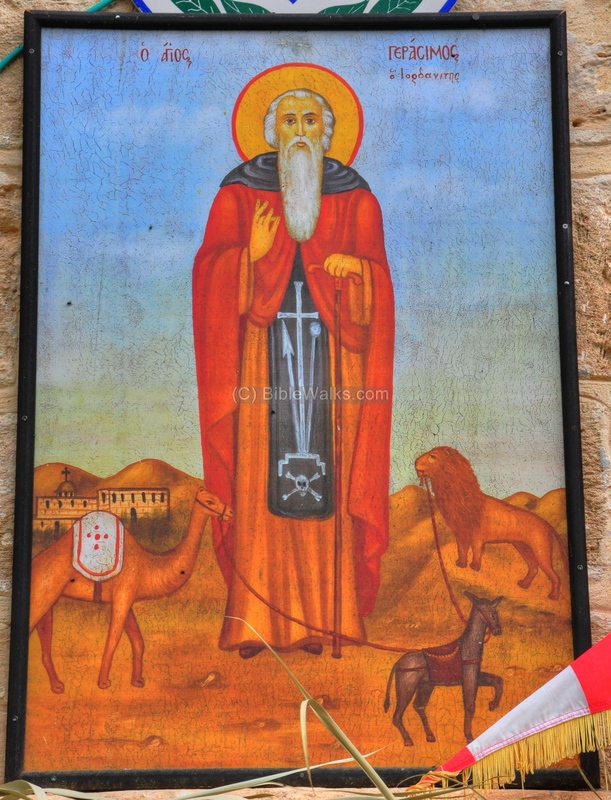 Joshua 16 5,7: "And the border of the children of Ephraim ... went down from ... to Ataroth..."
A monastery on the southern side of the Jordan valley, founded in the 5th C by Abbot Gerassimos. Joshua 15 6: "And the border went up to Bethhogla, and passed along by the north of Betharabah"
At Tel Issachar are ruins of an ancient Canaanite and Israelite city, located on a mound on the north bank of Issachar brook. 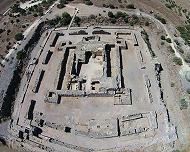 Ruins of Hasmonean and Herodian palaces built in the second temple period, in the southwest area NT of Jericho. (Josephus Flavius Wars 4, 8: 2): "There are in it many sorts of palm trees... pronounce this place to be divine...".